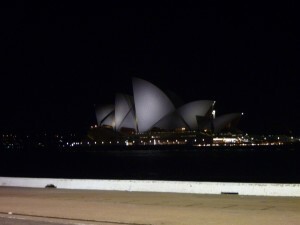 Culturally, Sydney reminds us in many ways of London and major cities in the U.S. You can find most of the same stores here and the standard of living is pretty much on par. One of the most noticeable differences, though, is the significant Asian influence – it is to a degree that you’re unlikely to find in those cities. Even outside of the sprawling Chinatown district, East and Southeast Asian restaurants seem to outnumber the others. It’s hard to walk more than a block or two without seeing a Chinese, Vietnamese, Thai, Korean or Japanese establishment, and many of the stores and bars are of Asian influence as well. It’s no surprise then that Chinese New Year is a big event here, and since we live on the edge of Chinatown it was essentially unavoidable. The festivities started even before the official kickoff, with small entourages of dragons and drums occasionally passing by on the streets. 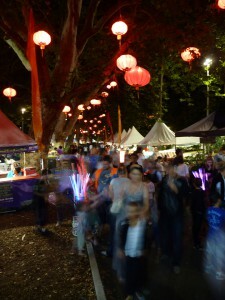 The official kickoff was in Belmore Park on January 28th and included food, drinks, music and other attractions. 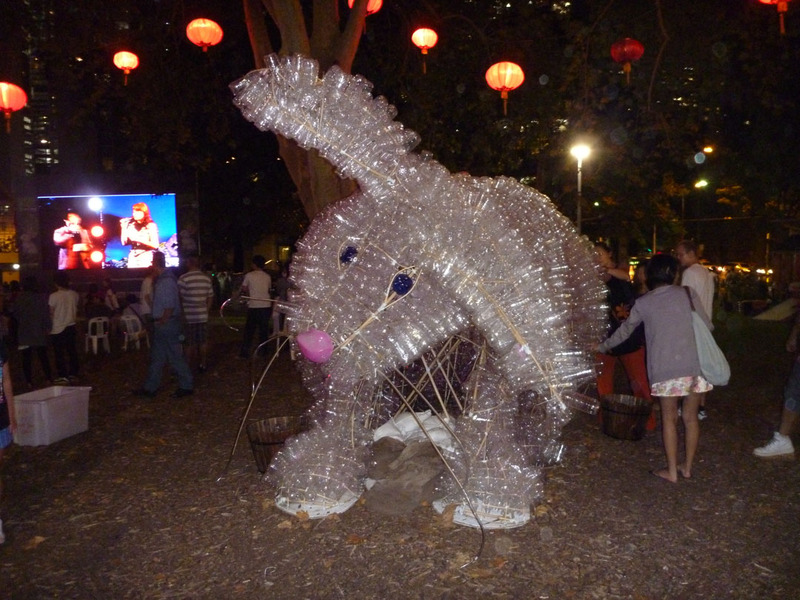 This being the Year of the Rabbit, rabbit statues and rabbit-themed things could be found all over the place, ranging from the normal to the strange to the downright creepy. There also were a variety of activities and giveaways at the kickoff: at one point I was wandering around with a stick of incense, unsure of how to properly dispose of it without accidentally committing some sort of egregious cultural faux pas. We managed to make our way back without causing too much trouble and ended our New Year activities for the evening and the weekend. 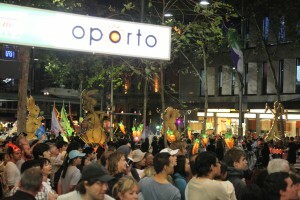 The celebration was a week long, culminating in a big parade the following weekend and, you guessed it, fireworks! 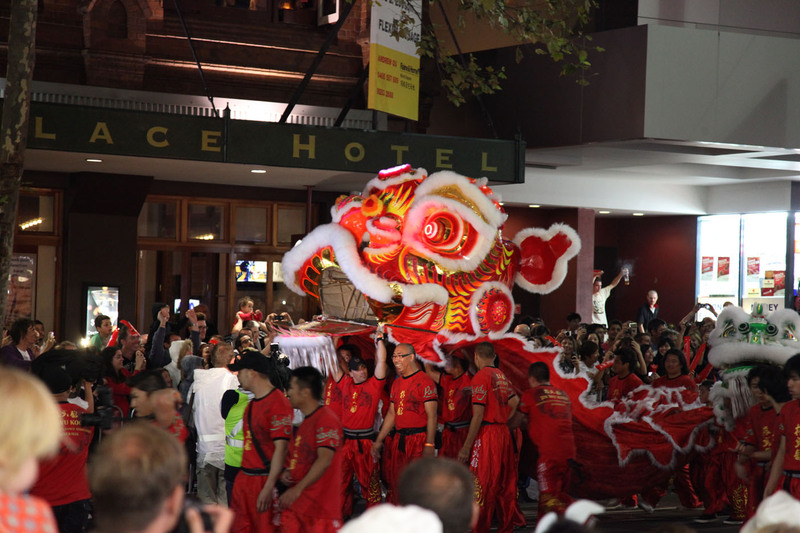 The following weekend, we ventured out to secure a spot along the parade route, which took over a significant portion of George Street before continuing through the rest of Chinatown. The parade was well done and included a variety of acts from all over eastern Asia. 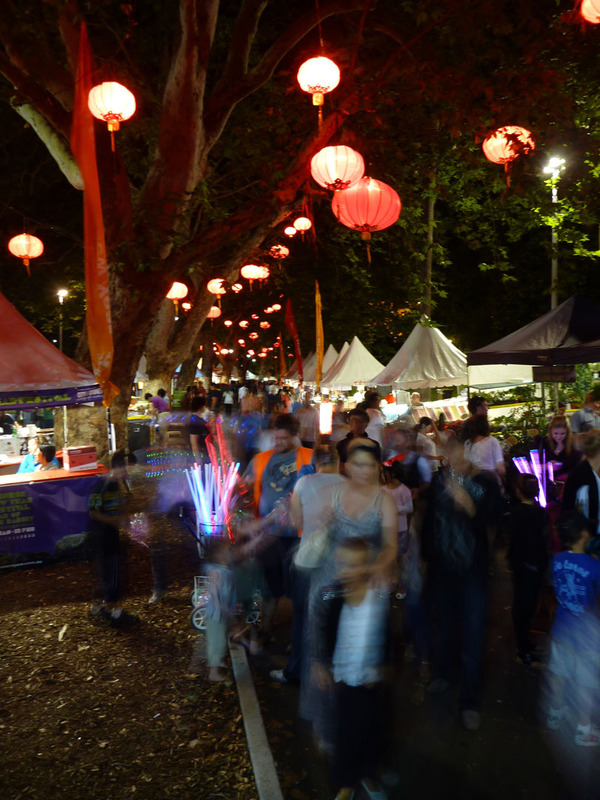 Though the relationship has had its ups and downs, Chinese-Australian relations have historically been mostly positive, in part due to China being Australia’s largest trading partner and Australia’s significant natural resource exports to the country. 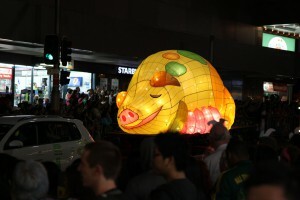 Leftover Floats: Year of the Pig! The floats were quite elaborate and were interspersed between lots of performers, although we suspect that they started to run out of ideas once they started rolling out all of the floats from previous years: “Hey, we’ve got these things that are just lying around for the next decade, why not throw them in too?” I couldn’t include pictures of them all, so here’s a shot of the pig, the patron animal of mine and Kristen’s birth year. 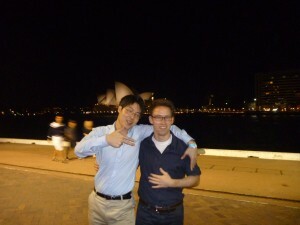 It’s been an exciting and exhausting first week in Sydney. I spent my first week in the ThoughtWorks office meeting people and getting work and personal affairs in order (IDs, bank accounts, etc). We’ve also started the search for an apartment, which we’re told will be a challenging process. In the meantime we’re mostly living out of suitcases, as we don’t want to unpack everything while we’re still in the corporate apartment. It takes a bit of time to dig around and find what we need, but we’re getting by. Kristen spent the week in orientation, getting to know her new classmates and professors. Her class of 48 people represents 19 different countries, so she’s certainly getting the international experience she was looking for. If you want to know more about her MBA activities, you’ll have to bother her, since she’s been a bit lax about posting to the blog 🙂 I did get a chance to meet a few of her classmates at Cruise Bar though… they’re an entertaining bunch. 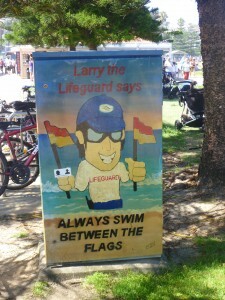 Always listen to Larry the Lifeguard! Since we couldn’t look at apartments on Sunday (most open inspections take place on Saturdays), we decided to check out more neighborhoods instead. 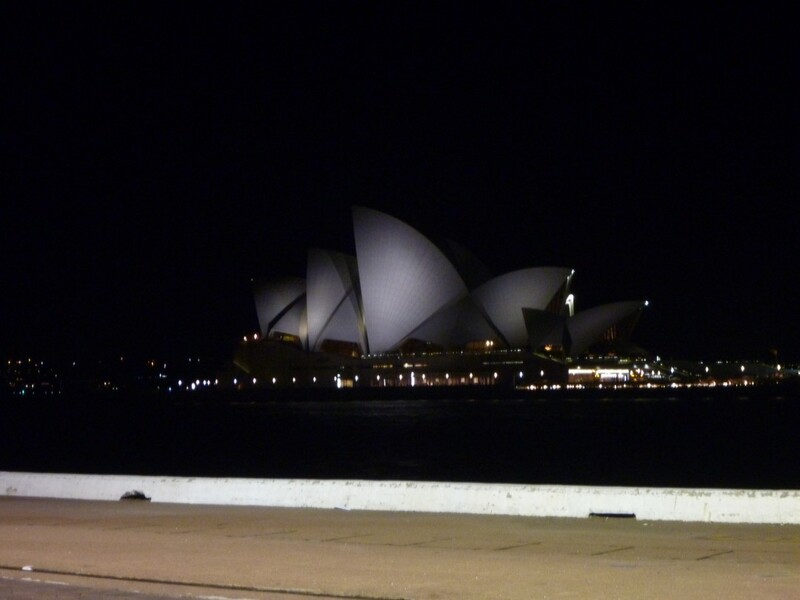 First stop was Coogee Beach, another of Sydney’s eastern beaches. 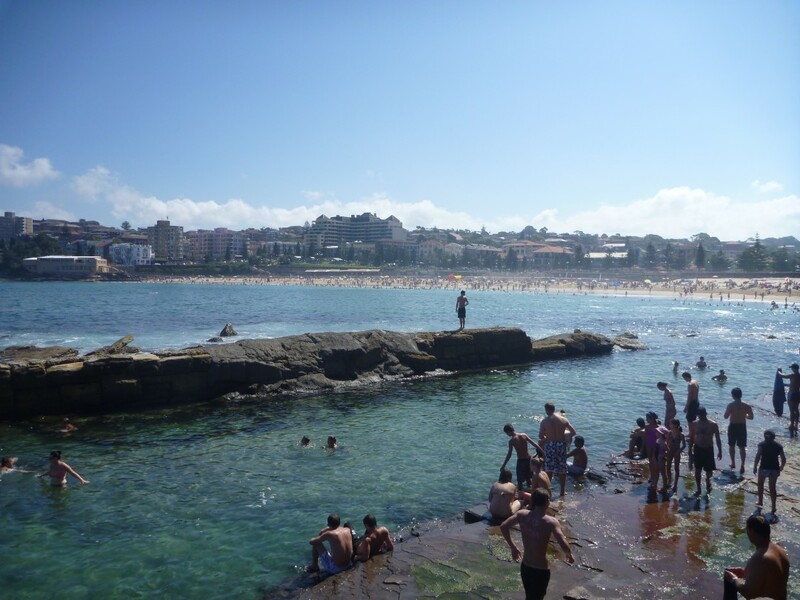 Unlike Bondi and Manly, there aren’t many surfers due to the calmer waters, so the swimmers don’t necessarily need to stay between the flags (the area of the beach off limits to surfers and more closely monitored by the lifeguards). Coogee also features a number of baths, which are sheltered ponds carved into the rock on either side of the beach. They are perfect for spending time in the ocean without having to fight the surf. Giles Baths, on the north side of the beach, is essentially just a big hole carved into the rock, but Wylies Baths, on the south side of the beach, has a fully enclosed pool, sun decks and restaurants. The Coogee area is great, and though we’d considered living near the beach, the public transportation options for the eastern beaches are a bit limited, so we’re probably going to stay closer to the city. 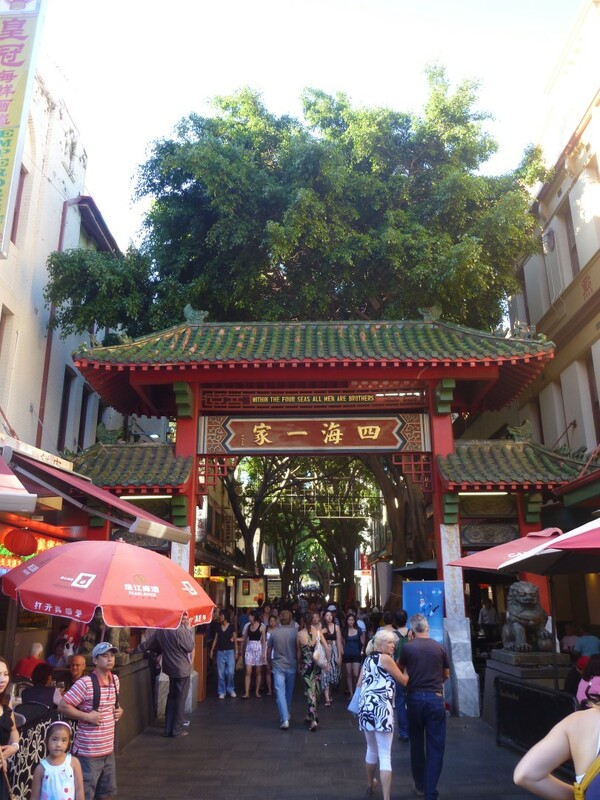 We ended the day a little closer to home with a visit to Chinatown and the surrounding markets, although Paddy’s Market was closed by the time we arrived. One of the nice things about living near Chinatown is that we’ll have front row seats for the Chinese New Year celebrations on February 3rd. We’ve already seen a few dragons on the street as the area prepares to usher in the Year of the Rabbit.